This image is of human blood captured under the BA210LCD microscope at 400x magnification using brightfield. 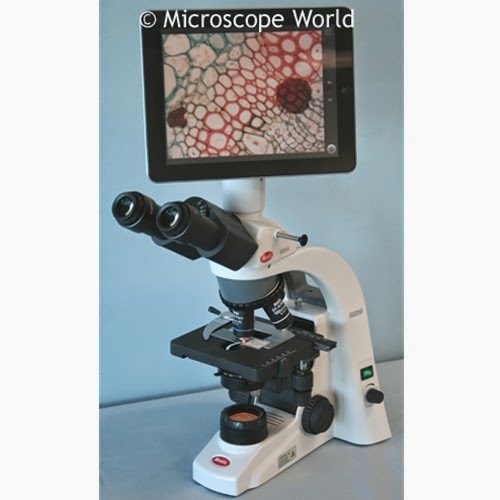 The LCD microscope tablet camera on the BA210 microscope is an Android based touch screen tablet that allows the user to view and capture live images or video. The tablet is WiFi enabled and images can be emailed or saved to a micro SD card.